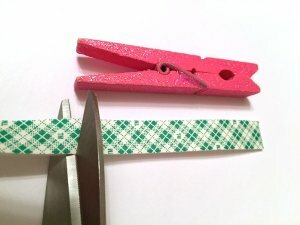 Inside: A simply brilliant clothespin hack for the kitchen that eliminated one of my pet peeves! I wish I could claim to be the genius who thought of this brilliant idea. 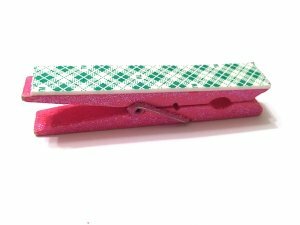 It has changed my life — or at least it has stopped one of my biggest pet peeves from tormenting me on a daily basis. My husband goes through an unbelievable amount of dishes while cooking. However, as I am quite appreciative of the fruits of his labor, I am careful not to complain while washing the resulting mountains of pots, bans, bowls, and the like. If I didn’t wear dishwashing gloves while doing so, my hands would be destroyed. I used to leave my gloves draped over the edge of the sink to dry when I finished. But somehow, when I would go to use my gloves the next time, I would more often than not find them submerged at the bottom of the sink, or crammed behind the faucet, the insides full of water. Besides feeling absolutely gross, it defeated the purpose of wearing gloves in the first place! 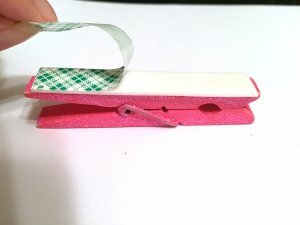 One day while browsing through home organization ideas (one of my favorite things to look at…seriously), I noticed a kitchen hack which would solve all of my problems. I had the necessary supplies laying around (and you might very well too) and immediately installed my new glove hangers. 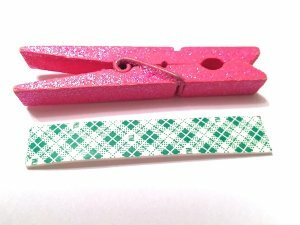 Ad links included for your convenience in re-creating this clothespin hack; read our disclosure policy here. 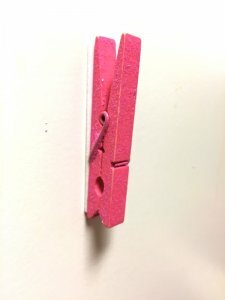 Simply stick the clothespin to the inside of the cabinet door under the kitchen sink. 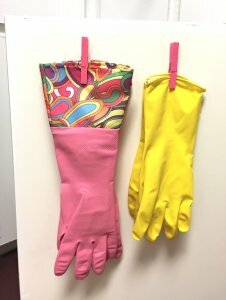 Now dishwashing gloves can dry in a safe place and are at arms reach whenever needed. How did I live without this for so long?! I think it must be man code to use every dish possible when cooking! Thanks for sharing this idea. Haha right! Though hubby has been making an effort lately to help lighten my load. 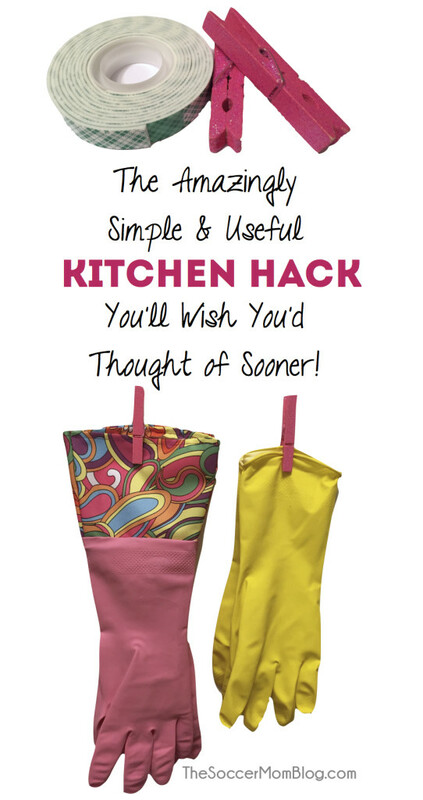 I’m loving the glove hangers…definitely try it!